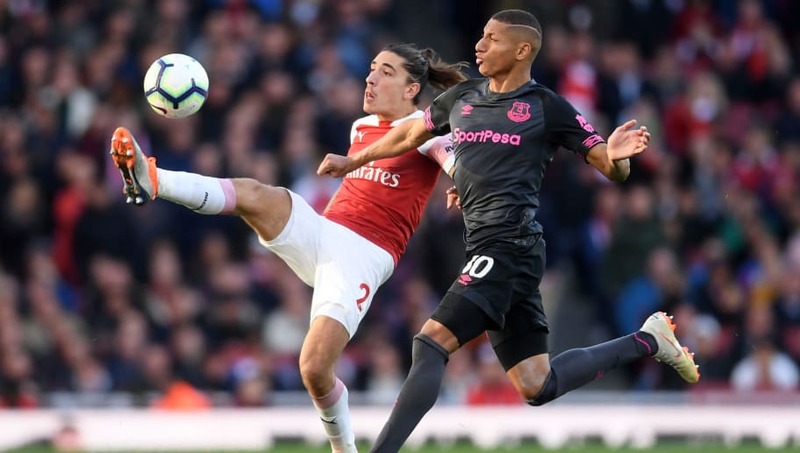 Arsenal travel to Goodison Park on Sunday to face Everton, as they eye a top four finish in Unai Emery's first season in charge. Arsenal are now in pole position to qualify for the Champions League next season, sitting fourth in the table with 63 points, one below north London rivals Tottenham, level with Chelsea and two above Manchester United. However, the Gunners have a game in hand on their competition, and exclusively play teams outside the top six in their remaining fixtures, meaning that - so long as they fix their problematic away form - they have to be considered favourites. ​Everton, meanwhile, have recorded back-to-back league victories for only the second time this season, taking them up to 10th with 43 points. Although it's been a difficult campaign for Marco Silva in his first season with the Toffees, he will be targeting the 7th position currently occupied by ​Wolves, which most likely ensures Europa League qualification for next season. Check out 90min's preview for Sunday's game below. Lucas Torreira is serving a ban for ​Arsenal, having been sent off in the north London Derby earlier this month. He will join the injured Hector Bellerin, Danny Welbeck and ​Rob Holding on the sidelines. ​Aaron Ramsey (thigh) and Granit Xhaka (groin) are expected to be passed fit, although there is concern surrounding Laurent Koscielny (ankle). Everton, meanwhile, are missing only defender Yerry Mina, who continues to struggle with a thigh problem. This is a fixture which Arsenal have historically dominated, with 33 wins to Everton's seven. In fact, Arsenal even have a better record in these match-ups at Goodison Park than the home side, recording 12 away wins there in the Premier League era. This trend remains the same in recent years, with the Gunners winning their last four meetings with the Toffees, with an aggregate score of 15-4. The most recent was a 2-0 home win earlier in the season, courtesy of goals from the reliable strike duo ​Alexandre Lacazette and ​Pierre-Emerick Aubameyang. Both sides are in a good spell of form, particularly Arsenal, who have won five of their last six games in the Premier League. The other result - a draw at Wembley in the north London derby - Arsenal could feel aggrieved about too, as a late penalty miss from Aubameyang denied them the three points. Everton have lost only one of their previous five games, having lost three on the bounce prior. Successive 2-0 victories against ​Chelsea and ​West Ham with a consistent starting eleven should create some optimism for the Goodison faithful as the Premier League reaches the closing stages. Arsenal are on an excellent run of form, with Ramsey and Lacazette particularly devastating in recent weeks. Throw Aubameyang and ​Mesut Ozil into the mix and that is an extremely potent front four, capable of causing most sides problems. However, the Gunners do not travel well, winning only five of their 14 games on the road. Everton have picked up lately, and the likes of ​Richarlison and Gylfi Sigurdsson are capable of creating opportunities against the Arsenal backline, so expect a surprise.